The exhibition of contemporary art "The Eighth River" opened at the Ile-Alatau National Park in Almaty, Kazakhstan for the first time alfresco (in open air), where the installations created especially for this space by modern Kazakh artists were presented. The exhibition preceded by an art residence. Within three weeks before exhibition, Kazakhstan artists – participants to the project have lived and worked in the park and have created their works according to their vision of the project concept. Gifted artistic children from all regions of the country visited the opening ceremony of exhibition. Children had an opportunity to communicate with contemporary artists and also to gather some artistic experience from joint practice. Video- and photo-documentation of the project was featured at the festival of contemporary art ARBAT FEST VI. Uniqueness of the project lies in the fact that here people of different professional activities – contemporary artists and professionals working in the field of biodiversity conservation and development of specially protected natural territories unite in their aspirations. 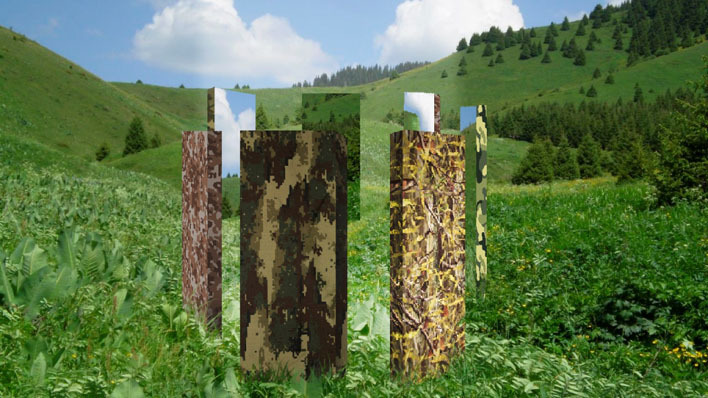 One of the major objectives of the project that is consonant to those of UNESCO programme "Man and Biosphere" – is to attract attention of residents and guests of Almaty city to the wealth of surrounding unique natural ecosystems through the perception of the world of young professional artists. For this reason, Ile-Alatau National Park was selected as the venue for artistic activities. The exhibition was organized by the Kazakhstan National Committee UNESCO Programme "Man and Biosphere" (MAB UNESCO), with the support of Soros Foundation-Kazakhstan, UNESCO Almaty Cluster Office, Kazakhstan National Federation of UNESCO Clubs, Department of Culture of Almaty city, NGO "Eurasian Cultural Alliance" and International Festival of Contemporary Art ArtbatFest-2015. Exhibition opened: 30June, 2015 at 4 pm. Location: "Alpine Rose" hotel in the Big Almaty gorge at Ile-Alatau National Park.